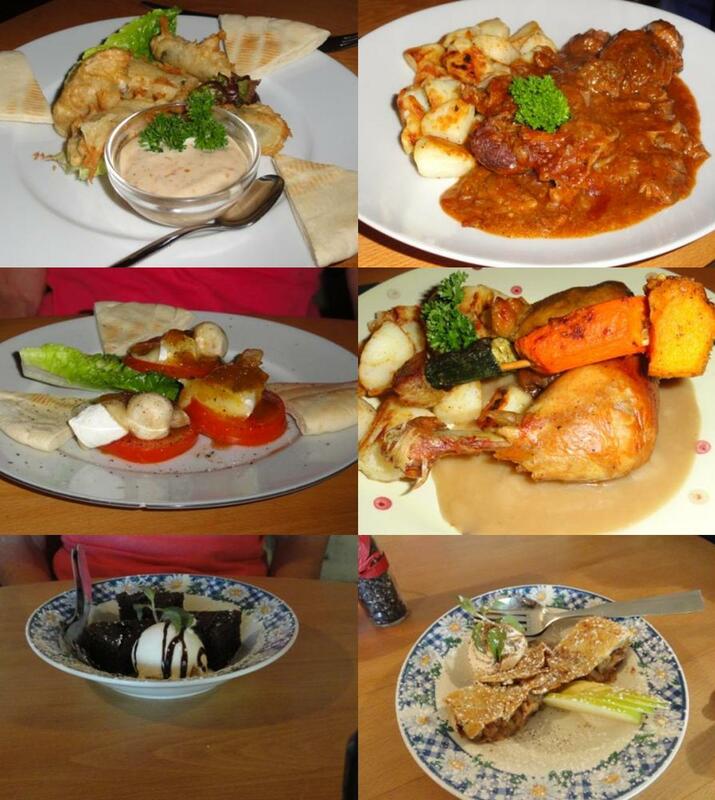 Tucked away in the small town of Montagu is The Mystic Tin, an amazing micro brewery and restaurant. This is well worth the drive, and your choice of seating is either in the garden, or in the very comfortable dining room. This is perfect for a get away lunch, or if you are exploring the Klein Karoo you can sleep over and enjoy dinner there. On offer are the three beers produced by the micro brewery – an ale, a light honey or a dark barley. The wine list is small and very well priced with a by the glass option. The menu is diverse and focuses on both the Italian influence of the pizza oven and the German chef/owner. On our way back from The Wilderness, Dave and I took a long detour through Calitzdorp and stopped for lunch at The Mystic Tin. We decided on the pita bread and Dave had the lamb and basil frikkadel with a red onion marmalade, and I had the ostrich and ginger patty with a sweet chilli mayonnaise. Both were served with a salad garmish for a very reasonable R39.00. We both enjoyed our meal and noted with pleasure that the owner remembered us! Dave and I went with my parents and we chose a Camembert and mushroom tower (R29) and chilli poppers (R39) from the stater menu to have as main courses. My dad had a beef shin done osso bucco style (R89) and I had the Karoo brew chicken (R67.50) which was fantastic. For desserts my mom had the chocolate Klipdrift brandy cake (R35). My dad chose the Apple Strudel (R32) and I had more than one taste of the perfectly done pastry. I do like their prices and it is great only having a few things to choose from, then you know that they are made exceptionally well. Very nice, what are chilli poppers? jalepeno chillies filled with cheese and then deep fried!